Experiencing limb loss in a car crash won’t just change your life; it will also result in high medical bills and the need for special equipment and accommodations. Get a settlement that brings you justice and covers your damages by working with a Salt Lake City car accident amputation lawyer. It’s a fact that car accidents can inflict serious harm to drivers and passengers alike. From minor bruises to debilitating injuries, a car accident can easily change your life. One of the most devastating injuries seen in car crashes is an amputation—the loss of a limb due to a traumatic event. Amputations are one of the most crippling injuries an individual can experience as the result of an auto wreck. There are roughly 2 million people living in the United States who have experienced the loss of a limb, and there are about 185,000 amputations that take place every year. Anyone who has had a limb amputated will tell you that his or her life dramatically changed the moment the accident caused the injury. The physical, emotional, and financial repercussions will affect every aspect of your life, making everyday tasks more difficult. If this is your situation, a Salt Lake City car accident amputation lawyer from Craig Swapp & Associates can help you seek compensation for your losses. Traumatic amputations due to car accidents can occur when a person’s limb is severed at the point of impact, when a limb is seriously damaged, or when surgically removing the limb will save the victim’s life. The severity of the accident often determines the extent of the injury. Amputations can occur that affect the legs, arms, feet, hands, fingers, or toes. In some cases, a victim can even lose more than one limb. Amputation from a car accident obviously lasts a lifetime. The consequences are not just physically painful—they’re also psychologically painful. Having to relearn basic everyday skills is both difficult and frustrating. The physical pain may be chronic, sometimes accompanied by phantom limb pain. Filing a personal injury claim against the person responsible for your accident is crucial to recovering damages that can help cover these costs. In addition, many victims can be fitted for prosthetics after losing a limb. With remarkable advances in prosthetic technology, amputee victims can regain their independence. However, prosthetics can be costly and may not be fully covered by insurance, making a fair settlement even more important for your future wellbeing. 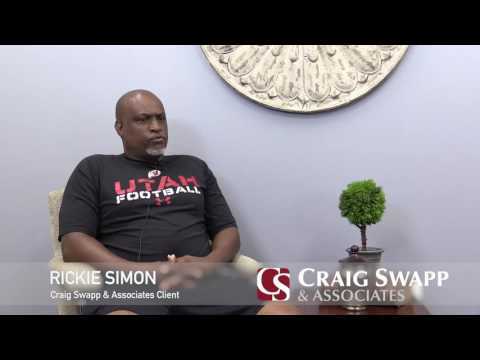 Craig Swapp & Associates has successfully represented car accident amputation victims in Salt Lake City and all across Utah. We can help you recover the maximum compensation possible for your personal injury claim. Our attorneys understand the difficulty you are experiencing due to your auto wreck and are committed to working hard on your behalf. Call us at 1-800-404-9000 to set up a free, no-obligation consultation, or contact us online through the form below.